Flat files for content management? Really? This looks like an amazing project. Your site is really slick and modern, and I see that you've made it responsive. When you first hit the site, it's not immediately obvious that you can scroll down to see the real meat of the site. While the universe and subtle animation is cool, I'd be worried about the marketing aspect of it more. At the bottom I'd really want to have some visual clue that was less subtle that insured the user will scroll down to see the other sections. A section that lists features of the CMS that are focused on end-user functionality rather than the nicely done list of design and technology features you already have. 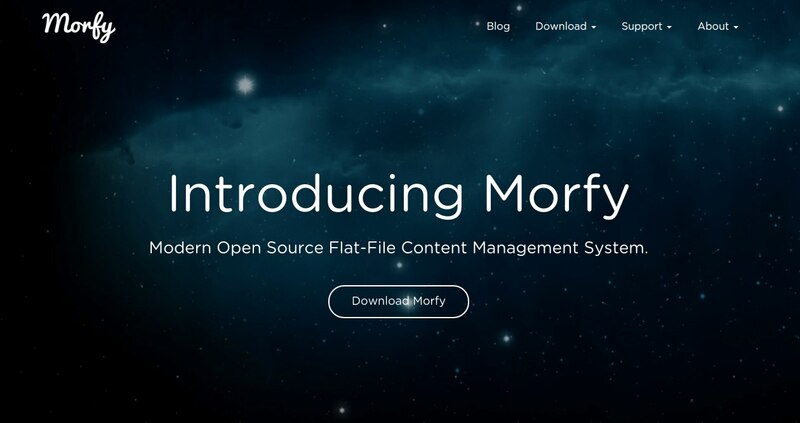 A gallery of sample templates/sites using morfy. Overall, the site is already a great representation of the project and your github integration is nicely done. Just out of curiosity, why did you integrate the fenom templating engine rather than twig or blade? For a lot of mostly static sites, this could be a great solution that removes the need for databases and subsequently caching etc. There are also small footprint embedded systems and kiosks that might make use of this. At the end of the day, if the CMS is well done, other storage engines could be added using plugins I suppose. On the review side, your site/server has numerous security issues and you are vulnerable to click-jacking. I will check all your mentioned points and will fix them. 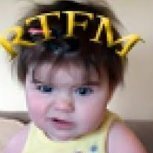 About template engine. Fenom is not very popular now, but it has big potential, I think. Fenom is super fast and lightweight, its syntax is similar to Smarty and they have a fallback class for smarty templates. I guess that the Smarty syntax is a selling point for people who already are familiar with Smarty. These days there are many more people using Blade and Twig, so just a thought -- it might be good to consider adding modules that will support those other template systems at some point.